The club had a goal to plant seedlings in order to help replace some of the trees that were lost during Hurricane Matthew. 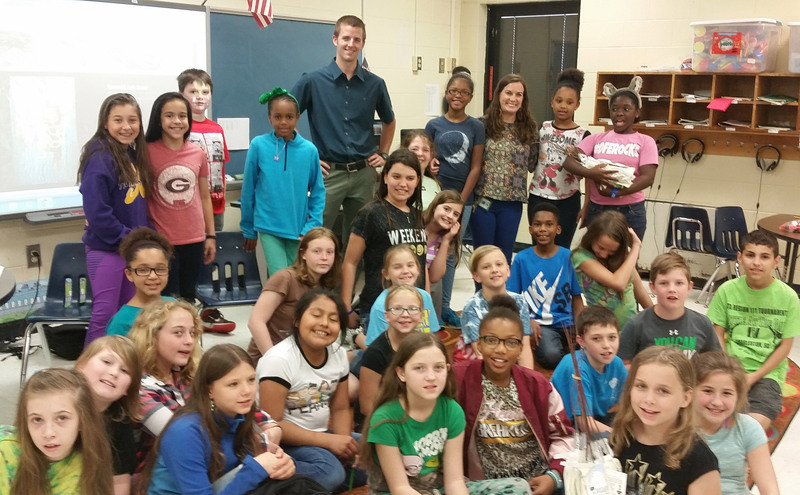 By utilizing The Bartlett Legacy Tree Program, Arborist Grant Fletcher was able to provide the club with knowledge on how to properly plant a tree, as well as provide 200 native seedlings for the students to give to their school families! The students were so excited to ask Grant all about his job as an Arborist and learn about the three species provided: dogwood, swamp white oak, and red maple. It was truly a great experience to be a part of this “Re-Forest” goal and who knows, we may have even inspired a future arborist or two along the way!